Summary: Tropical Depression Bill influences our weather today and Saturday. Slightly cooler temps than earlier this week, but the heat returns for the work week. Currently, Tropical Depression Bill is spinning over Arkansas and Missouri this morning and is heading closer to us, but the center of circulation will actually go through Kentucky. As you can see, Bill is starting to sling some rain showers our way and will likely impact our weather throughout the rest of today, mainly tonight, and into our Saturday. 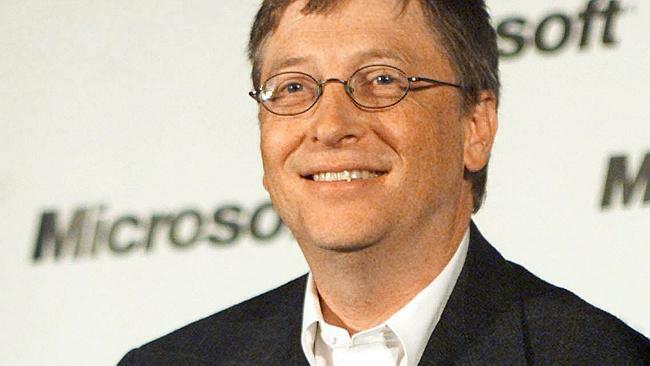 Nope not that Bill either. 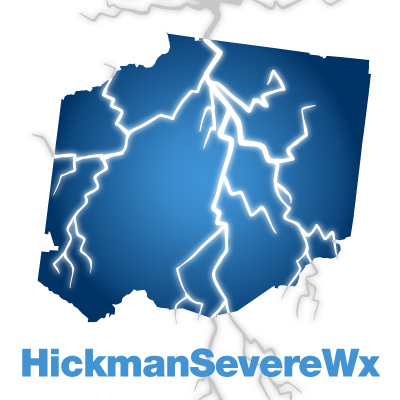 For today, we have a 60% chance of rain and thunderstorms mainly after 1pm today as our high temperature will work its way up to about 87 degrees (a few degrees cooler than we’ve been used to this week). Winds are going to be a bit breezy today coming out of the south at 10 to 15 mph, with gusts as high as 20 mph. Since Bill is spinning his way toward us, that spin in the atmosphere is the reason why the Storm Prediction Center has placed us under a MARGINAL risk of severe weather from 8am today through 7am tomorrow with the concern being damaging winds and an isolated tornado. Specifically, they have placed us in a 5% chance of seeing damaging winds within 25 miles of a point (first graphic below), and a 2% chance of seeing a tornado within 25 miles of a point (second graphic below). The SPC is putting that slight tornado probability in there because Bill is a spinning system, causing the winds to spin around and could, although not likely, produce a weak tornado. Sorry, not that Bill either. Here’s the SPC words (particularly the last sentence that we’ve underlined for emphasis). WINDS AND PERHAPS A BRIEF TORNADO OR TWO. 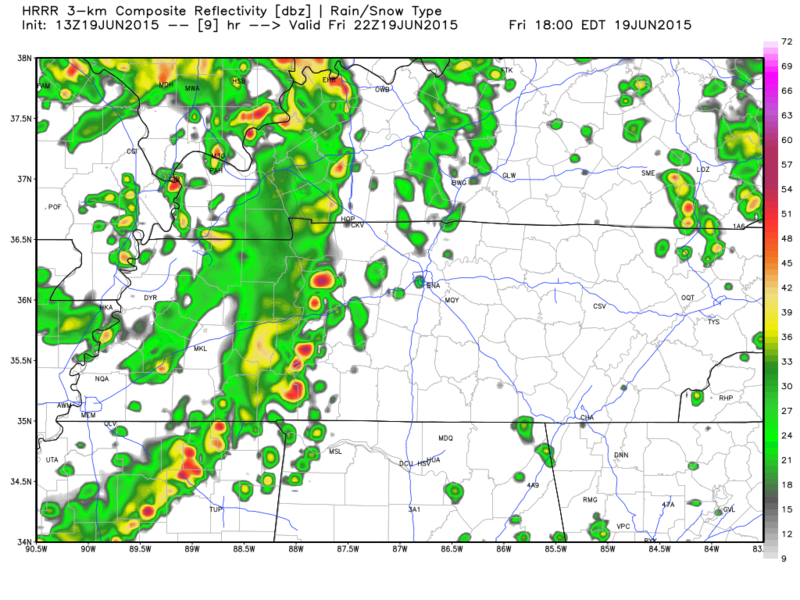 Rain chances increase to 90% tonight with an overnight low of 71 degrees. 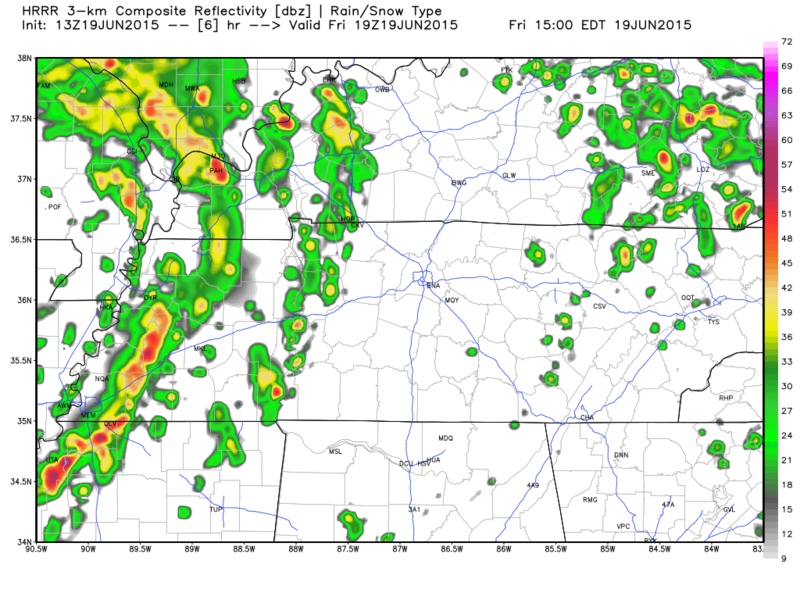 Let’s look at how the models are predicting today’s storm chances. The HRRR model (short range rapid refresh model) is showing a couple of bands of rain showers starting for us at about 2pm today. After the first band moves through, the second band comes behind it at about 5pm today. Another band is likely to bring some more rain around 11pm tonight as well. The exact timing of these bands could be a bit slower or faster depending on how quick Bill wants to make a visit to Kentucky. 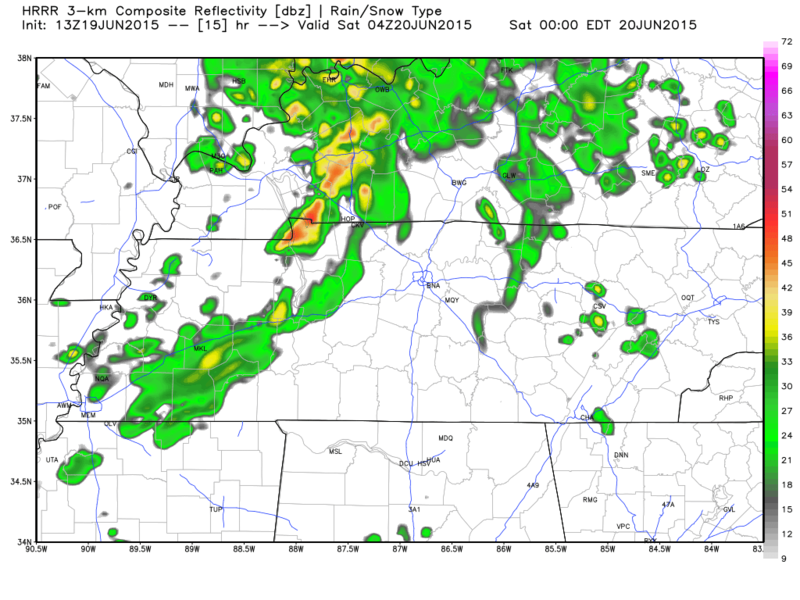 It’s also worth noting that the models don’t agree either on rain chances. Not talking about that Bill either. Here’s NAM4’s simulated radar, which shows one solid band coming in around 8pm tonight, with a slight chance this could yield a severe storm or two. 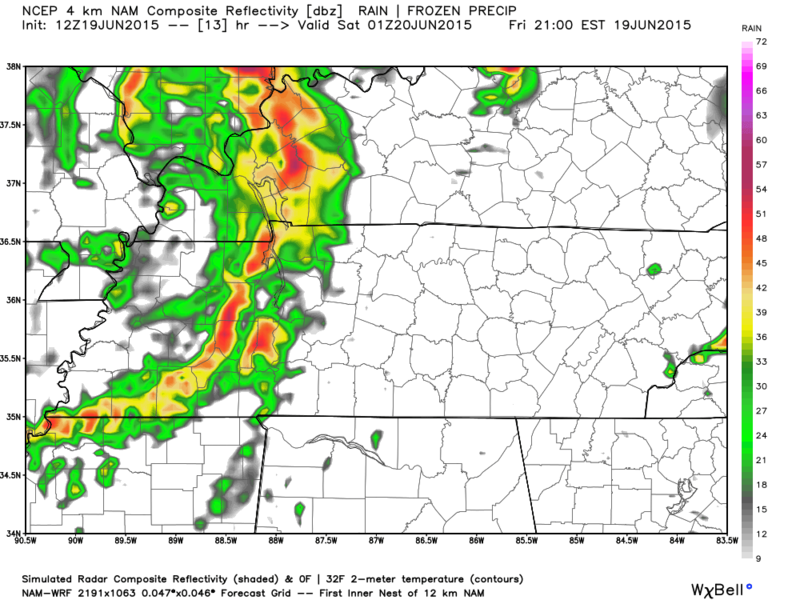 Here’s NAM4’s simulated radar for 11pm as well. The best plan of action today is to realize there are likely to be rain showers in the early afternoon through the overnight hours. 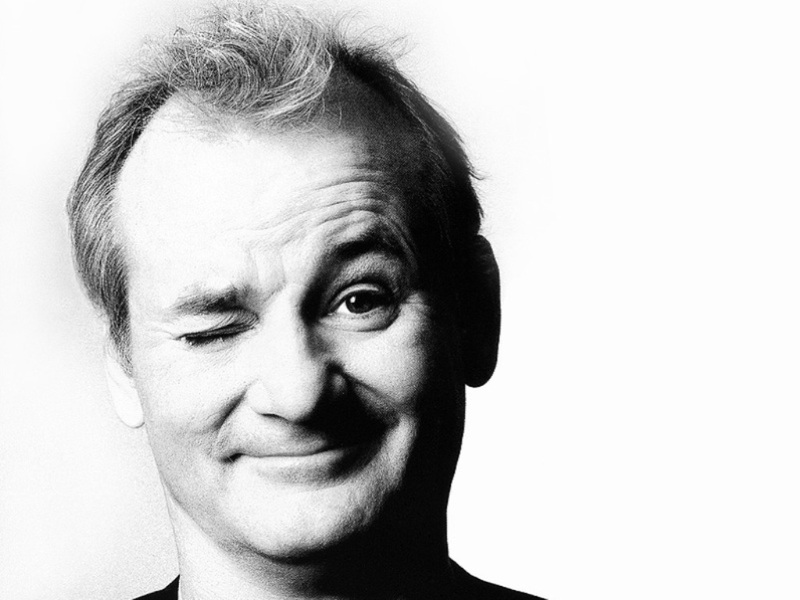 Be prepared for whatever Bill wants to bring us in terms of rain and a very slight chance of severe weather. We will be seeing more of Bill on Saturday, as we will likely wake up to a few spotty showers in the morning. We will see a 60% chance of rain and storms for Saturday as our high temperatures works up to about 86 degrees. The 60% chance of rain is mainly for the showers and storms that will work to clear themselves out overnight. 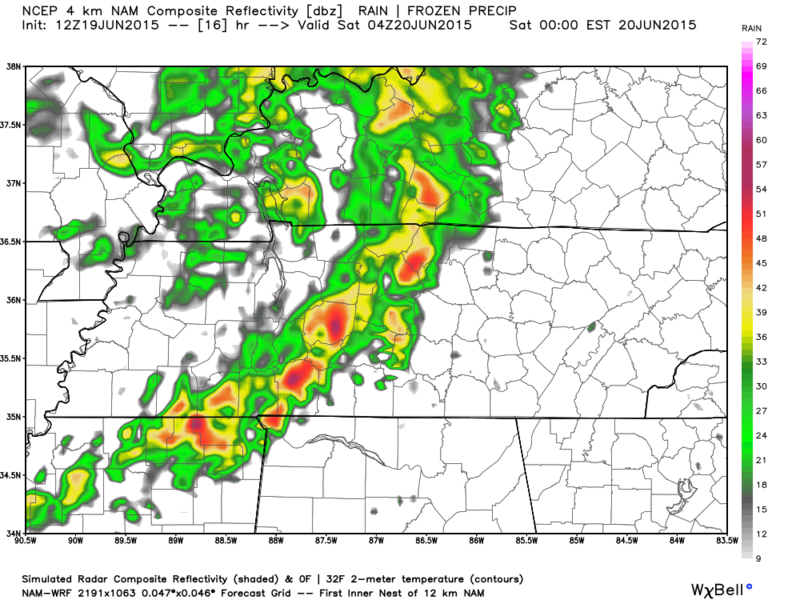 NAM4’s simulated radar shows very spotty showers as we get up tomorrow at 6am. Saturday doesn’t appear to be a washout, but since this isn’t a typical cold-front system, once Bill moves out, we could still see a pop up shower or two from daytime heating. Sunday things dry up a bit under sunny skies and a high temperature of about 92 degrees. The winds will be a bit breezy at 10 to 15 mph out of the west southwest. Because the high temp will reach into the lower 90’s, heat index values are going to be around 100. This means you should pay extra attention to your exposure to the heat and sun, drink plenty of fluids, and limit being outdoors especially around 12-4pm. Early warning: The heat wave is back and even worse for the start of the work week. These heat index values are nothing to mess with. Limit your outdoor activities and stay hydrated. Don’t leave your pets or kids inside parked cars or enclosed areas with no air conditioning. 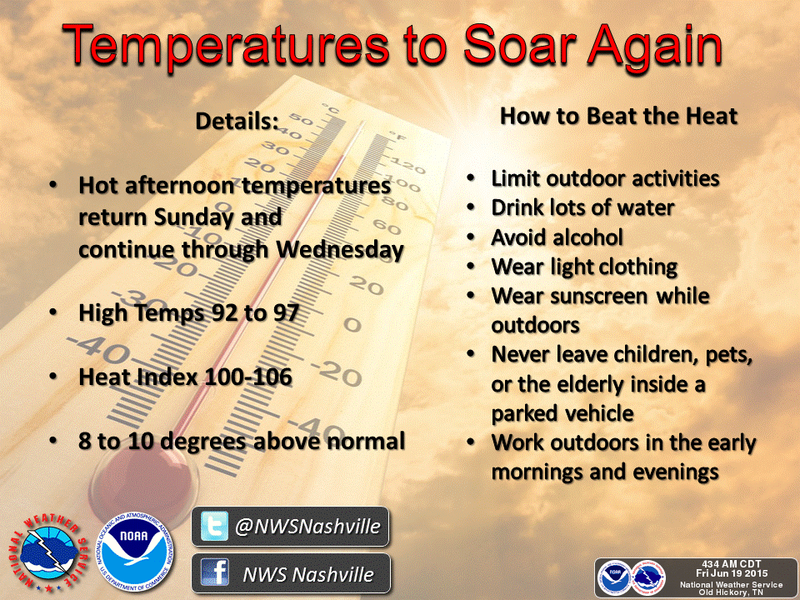 Here’s some more tips provided by NWSNashville on how to stay safe in the extreme heat.